When I was in college, I always admired the girls who faithfully read their Bibles and never seemed to get bored. I mean, we were in Bible college. We heard the Bible in chapel. In class. At dorm devotions. In our ministries. And in my immature state, sometimes, honestly, I mentally checked out. But then I graduated, life happened, and praise the Lord, eventually I grew up. Reading my Bible is not a chore for me at all. I look forward to it every day and in between; God’s Word is truly my lifeline. But if I’m honest, and if you’re honest, there are times when reading anything can be stale. 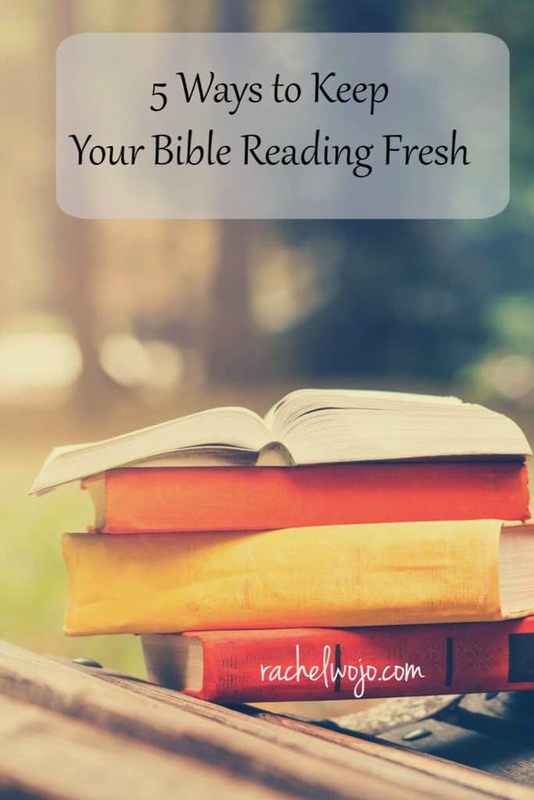 Today I wanted to encourage you with these 5 ways to keep your Bible reading fresh. I’d love it if one of these ideas encouraged your heart to read your Bible. Ready? 1. Use a short Bible reading plan or devotional. If your focus has a tendency to fail on long passages of reading, then keep it short. 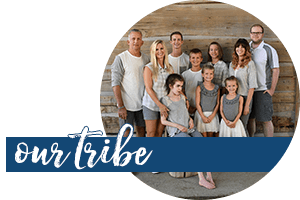 For the monthly Bible reading challenges here on the blog, I typically suggest between 5-10 verses and I zoom in on one or two verses on a personal level while reading. But for a deeper concentration on fewer words, read a verse a day for a week or two. Or grab a devotional with a key verse at the top and read it for a few weeks. 2. Change up the manner in which you read and study the Bible. 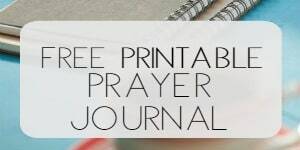 Almost two years ago, I found myself getting into a bit of a Bible study rut and I started Bible journaling. I can’t express to you how much this focused time of meditating on God’s Word and using creative skills helped me enjoy Bible reading even more. I love the faithfulness that routine brings, but if you find routine turning into mundane, change your pace or habits in some fashion. Change is often a good and necessary thing. 3. Dive into a new topic! 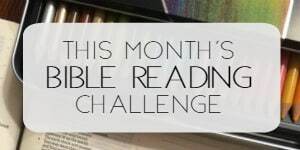 One of the reasons I enjoy our monthly Bible reading challenges here on the blog is because we use a month to focus on a single topic, but with a new month, the topic is fresh as well. Topical studies provide the structure for our minds to be centered. What topics are you curious about? Have you ever wondered what the Bible says about worry? Discovering joy? Trusting God? These topical Bible reading plans will drive refreshment into your soul. 4. Adjust the time of day you read. I enjoy reading my Bible early in the morning, but honestly, I want to give God my best time. Ya’ll, if I’m honest, I have to tell you, mornings are simply not my best time. At least not 6 am. So I give it a half hour or an hour of awake time before I read. And in the mornings? Reading is brief and pointed. Deeper studies and Bible journaling is completed in the afternoon or at night for me. If you find yourself needing a new energy for Bible reading, then try breaking up your reading times. Perhaps reading a verse or two in the morning to set the tone for the day would work for you; then reading a full-length devotional at lunch or dinner would be a great follow up. Maybe reading larger portions of Scripture would be better suited for evening reading. 5. Pray before reading, during reading and after reading. Lots of folks begin their quiet time with prayer. In those early college days I mentioned at the first of this article, I began my quiet time with prayer. But you know what I found made a huge difference in both my Bible reading and my prayer time? When I talked to God about the Bible reading while I was reading it. I might ask God a question or make a comment. I ask him to help me understand this phrase or remember to apply this verse during the day. Having an open, deliberate conversation with the Lord throughout my entire quiet time definitely keeps the Bible reading fresh. The Word becomes alive because the Spirit speaks to my heart! Our God is incredible. Ok, friends. How has God worked in your heart and mind to keep your Bible study energetic? I’d love to read your comments and suggestions today. I just wanted to ask you to pray for a dear lady that means the world to me. She listened through my thoughts and prayers as my dad passed away and then my mom. She listened when my dad’s girlfriend went to Heaven. Now this dear lady is so ill. They did do surgery and she is trying to eat, but it is so hard. She is 91 years old. She has taken care of so many people in her life. I pray for God to be with her every day. For her to feel His presence, no matter what happens. Thank you! I feel like when I get to Heaven, I will look up and there she will be on God ‘s right hand. Thank you! oh Mae! I am so sorry. Prayers for your sweet friend. What a precious lady!